All iPad® mobile digital device images included are shown. 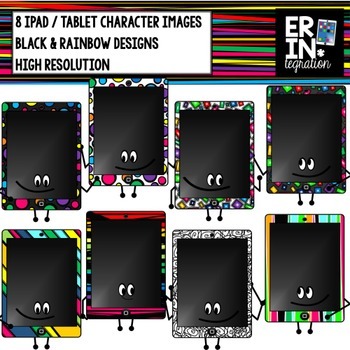 8 full colored high resolution iPad characters. 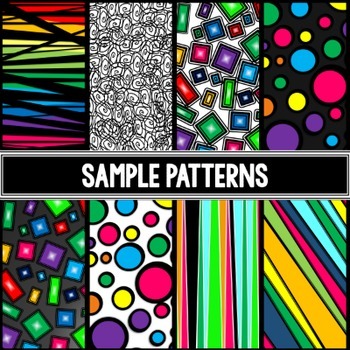 Each character has a different pattern for variation. Images are each saved as a separate 10x6 inch .png file.